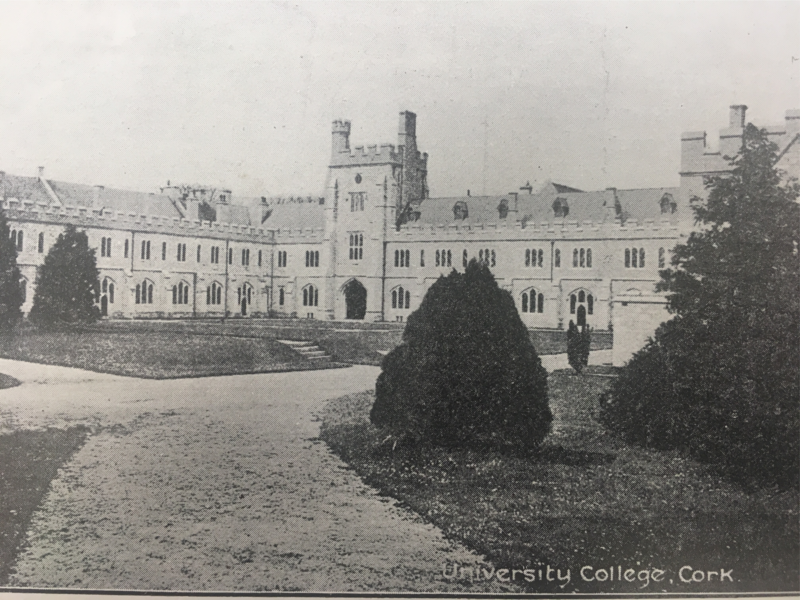 Late March and early April 1918 coincided with the ambition of University College Cork being pursued across newspapers such as the Freeman’s Journal and the Cork Examiner. Under the presidency of Sir Bertram Windele and through the governing body of University College, Cork, they published a pamphlet in the last week of March 1918 highlighting that the time was ripe for demanding an independent University for Munster in the city, and based, of course, on the existing College. The movement was initiated for having an independent University, similar in its constitution to Universities in Leeds, Manchester, and other cities in Great Britain. The year 1918 was exactly eighty years since an independent claim was first proposed by Cork Corporation at the instigation of the late Sir Thomas Wyse. The Corporation of Cork also supported a statement made by Councillor J Hooper, afterwards MP. His paper/ speech was afterwards published “bv order of the Council”. In 1902 and 1906, Cork Corporation passed resolutions in favour of the project. In 1904 and 1908 two large public meetings of the citizens urged autonomy for Cork in the impending University settlement. Presidents of UCC Sir Rowland Blennerhaisset and his successor Sir Bertram Windle were consistent advocates of an independent southern university. Under the Irish Universities Act 1908, the name Queen’s College Act was changed to University College Cork. The National University of Ireland (NUI) is a federal system of constituent universities and recognised colleges set up under the Irish Universities Act, 1908. 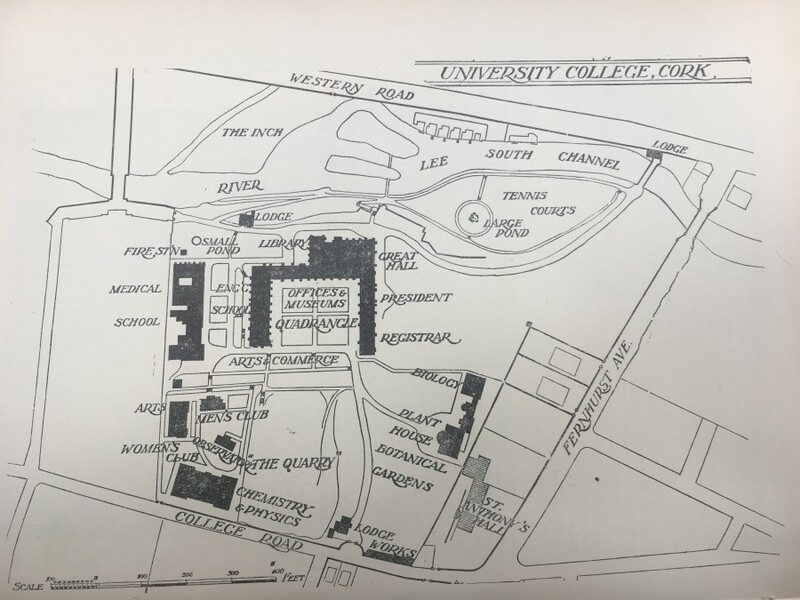 In 1918, the Cork College was still but an appanage of the National University, and a large amount of its management of academic business generally was pursued in Dublin. Frequent meetings were in Dublin, with much weary railway travelling; copious correspondence with all of its possibilities of misunderstandings and friction and clashes of local interests. The Cork university president spent some thirty days each year in attendance at meetings in Dublin. Under a charter and statutes, an overwhelming majority of the representatives of the National University’s central Council resided in Dublin, which, therefore, had complete control in many important matters and over rival colleges. Dublin College had seventeen representatives, Cork-seven, Galway-five, the Crown nominated four (all of whom represented Dublin and three of whom were members of the Governing Body of Dublin College). The Board of Governors highlighted that the number of students attending the College was too small, half as many as those attending the university in Belfast. The number of students in Cork University was increasing yearly, and the constituting of it as independent College would be a distinct benefit to students. In 1918 Cork had 550 students (110 of whom were women), being a greater number of students than that of Belfast College at the time it received its charter. According to the Board of Governors, public financial support existed. Apart from the scholarships provided by University College Cork. more than £4,000 per annum was supplied for this purpose by various public authorities in Munster. Since the foundation of the College, gifts in money and kind to a value exceeded £105,000, more than two-thirds of which had been given during 1908-1918. Since 1908 the College had made great advances in buildings, in its range of instruction, and in the number of its teachers. The medical buildings and the engineering school had been considerably improved, and new laboratories for physics and chemistry had been constructed. At the time of the passing of the Universities Act there were seventeen professors, ten lecturers and eight demonstrators, whereas in 1917 there, were 33 professors, 23 lecturers and ten demonstrators. A Faculty of Commerce had been founded (in association with the Incorporated Cork Chamber of Commerce), as well as a Department of Dentistry. With the aid of a grant from the Cork Corporation evening lectures for working men had been instituted in connection with the Workers’ Education Association. As a member of the Board of Governors, The Lord Mayor of Cork Thomas C Butterfield wrote publicly in March 1918; “As an old student of the College, and as Lord Mayor, I should like the change to take place for I am certain that owing to the great changes, which are likely to take place in Cork in the immediate future it will be to the advantage of the people of Munster that the College should have a free hand in working out its own destiny, so as to conform with the changing conditions, which is at present impossible except to a limited degree”. At the meeting of the Cork Corporation on Friday 12 April 1918, the Lord Mayor presided, the City Council unanimously adopted the following resolution. “That this meeting approves of the action which, the Governing Body of the University College is taking with the object of obtaining a Charter which will secure for Munster a separate and independent University. That we believe the increasing popularity of the University College as a teaching centre justifies us in stating that the educational requirements of Munster will be best served by the proposed change”. Copies of the resolution were to be sent to the Prime Minister, the Lord Lieutenant, the Chief Secretary, all the members of Parliament for Munster, and to all public boards in Munster except Clare”. It was to take to 1997 before a revised Universities Act gave UCC full University Independence.